Since 1773, The Red Lion Inn has been welcoming travelers to the beauty of the Berkshires with traditional New England hospitality. The inn has hosted five presidents and numerous other notable figures, including Nathaniel Hawthorne, William Cullen Bryant, and Henry Wadsworth Longfellow. An outstanding collection of early American furnishings and china adorn the guestrooms and common areas, much of which was assembled over a century ago. 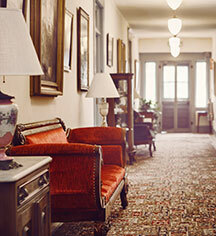 Located at the center of the historic village of Stockbridge, it is one of the few inns in New England that has been operated continuously since before the year 1800. 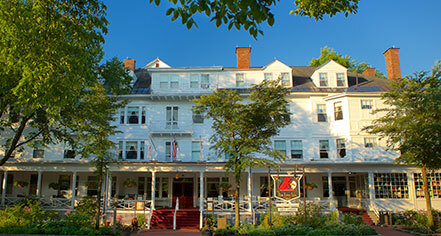 The Red Lion Inn, a charter member of Historic Hotels of America since 1989, dates back to 1773. The Red Lion Inn is one of the few inns in New England that has been operating continuously since before 1800, and was immortalized in the Normal Rockwell painting Stockbridge Main Street at Christmas. Age Requirements: Guests are required to be 21 years or older with photo identification to reserve a room and 18 years or older to check-in. Early Check-In/Late Check-Out: Please contact hotel for availability. Pet Policy: Service animals allowed: Yes. Pets allowed: Yes. Amenities: Welcome treat. Restrictions: Dogs and Cats Only. Fees: $40 per pet, per night. Since 1773, The Red Lion Inn has been welcoming travelers to the beauty of the Berkshires with traditional New England hospitality. The inn has hosted five presidents and numerous other notable figures, including Nathaniel Hawthorne, William Cullen Bryant, and Henry Wadsworth Longfellow. Learn more about the History of The Red Lion Inn .